What began as a not-so-clever ploy to achieve virality has received a massive corporate stamp of approval. The partnership turned out to be an ad campaign to promote various mental health organizations. “Recently, I’ve started to crack,” the egg explained in the spot (see below) via captioning. “The pressure of social media is getting to me.” The video then directed viewers to www.TalkingEgg.info, which comprised a list of different nonprofits dedicated to providing mental health services worldwide. 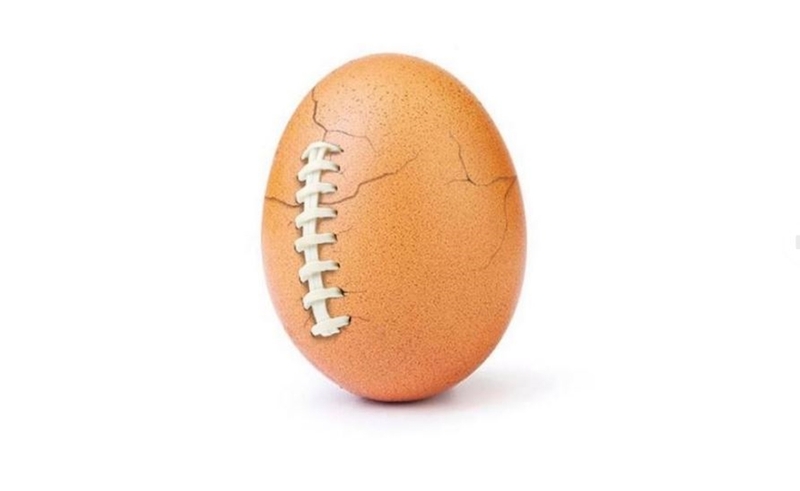 Godfrey, Khan-Whelan, and Brown told the Times that the egg’s rise was completely organic among its growing group of 10 million followers, which it has nicknamed the #EggGang. They also said that the account will be used to spread messaging about additional social causes in the future, though they don’t have any other partnerships on tap as of yet. And while digital execs — including VaynerMedia head Nik Sharma — have previously said that the egg could net as much as $10 million for a brand deal, Khan-Whelan told the Times that that figures was “greatly exaggerated.” The team declined to share, however, how much they were paid for the Hulu partnership.